Scattered with elegant glass-walled towers, the Vancouver skyline offers a stunning and photogenic backdrop. What it’s lacking however, is colour. We’re aiming to change this with our newest art installation, Finger Paint, at The Charleson. In the midst of a sea of grey, this large-scale public art piece by Elizabeth McIntosh runs the length of the 43-storey tower. Composed of bold and bright colours, this mural brings a spirited touch to the hard grey grids and surfaces of Vancouver. 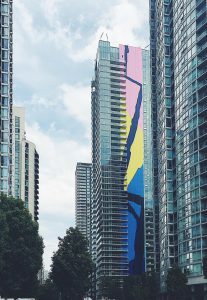 At 30 feet wide and 416 feet high, Finger Paint will inevitably leave its mark on the Vancouver skyline. A harmony of bright blue and yellow, pale pink, and black, Finger Paint explores representation through digital and analog techniques. The forms you see on the mural were made by a finger on a touchpad, oscillating between marks, gestures, and solid shapes. Its soft edges bring a human quality and character to the architecture, the notion of hand-painting a building implying a human connection. While the marks were made electronically, McIntosh approached this project within the context of painting. The colour, soft shapes, and hard edges are a result of visual expression that bring together many contrasts: human to monumental, organic to grid, bright colour to that of grey and glass, and the contrast of solid to transparent surfaces. McIntosh was particularly interested in how something made casually by her finger could have such symbolic and scalar impact to the world. A piece of art at this scale requires the highest quality materials that can withstand all of the elements (especially the Vancouver rain!). 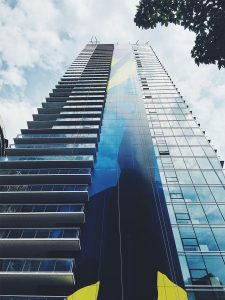 Keith Panel Systems of North Vancouver was contracted to fabricate and install the Alucobond aluminum composite material in six exotic colours, each a pre-painted, high-performance PVDF finish. The original artwork was carefully digitized and the Alucobond was CNC cut to match, then mounted to a pressure equalized Rainscreen panel system. This approach ensures precise accuracy in the replication of the original artwork, while providing the superior building envelope performance of a Rainscreen wall system. An Ontario native residing in Vancouver, McIntosh is an award-winning painter, published writer and professor at Emily Carr University. 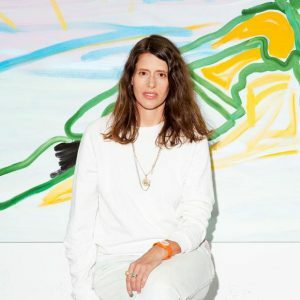 Her art explores geometric abstraction, and is characterized by large scale abstract and figurative compositions. Drawing from modern art historical sources, her work often blurs the border between abstraction and representation. 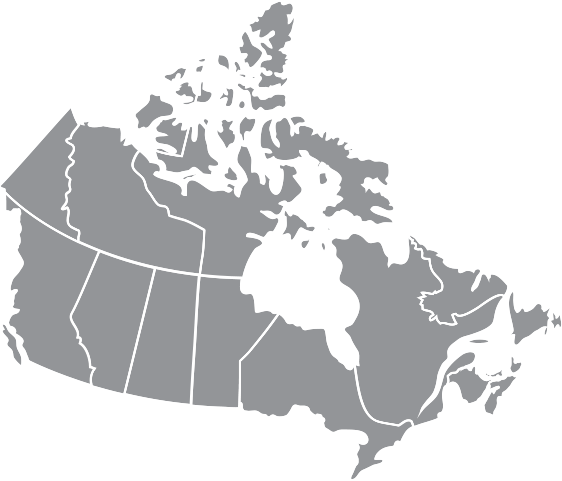 With collections in national galleries in Toronto, Vancouver, Montreal, and Ottawa, she has also been featured in several exhibitions in both Canada and the United States.